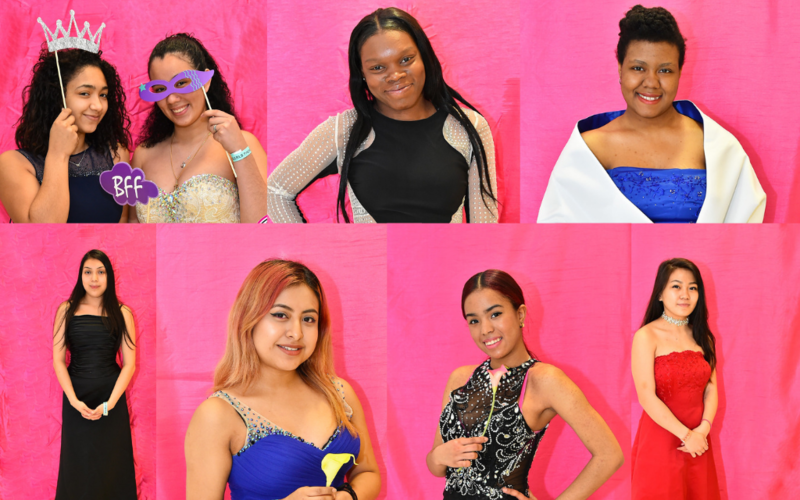 Project G.L.A.M provides economically underprivileged young women with prom dresses, makeup, and accessories so they have everything they need to feel confident, proud and beautiful at their senior prom. 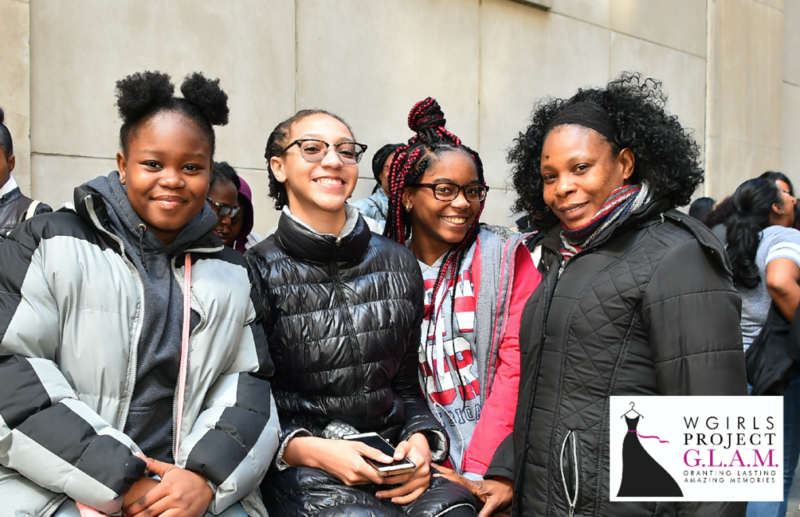 As the largest prom dress giveaway in the country, with over 7k gowns in stock, our goal is to ensure that every young woman in need across New York City has the opportunity to attend her senior prom. 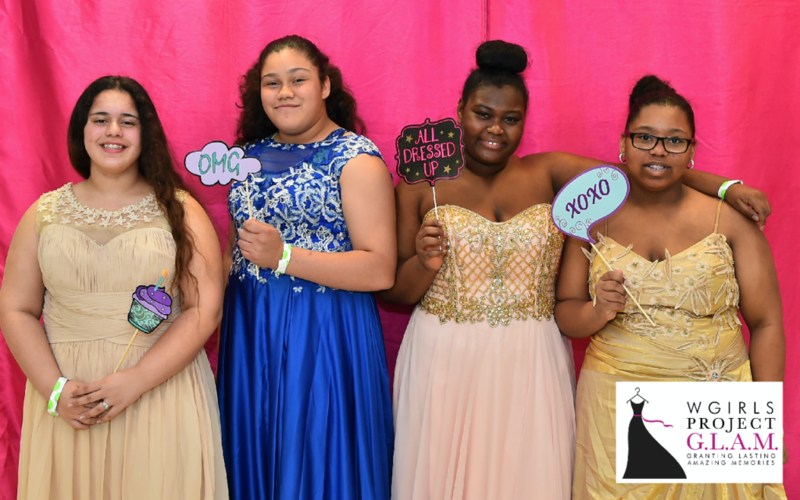 To date, WGIRLS Inc. has outfitted over 14,000 young women in need for prom. This year, we are proud to announce that Project G.L.A.M will also grant academic award scholarships to two deserving young women in need! Every $5 donation sponsors one young woman in need for senior prom! Volunteer at Project G.L.A.M 2019! Calling all Magic Makers! We are looking for volunteers to help distribute dresses to our participants! Join us! 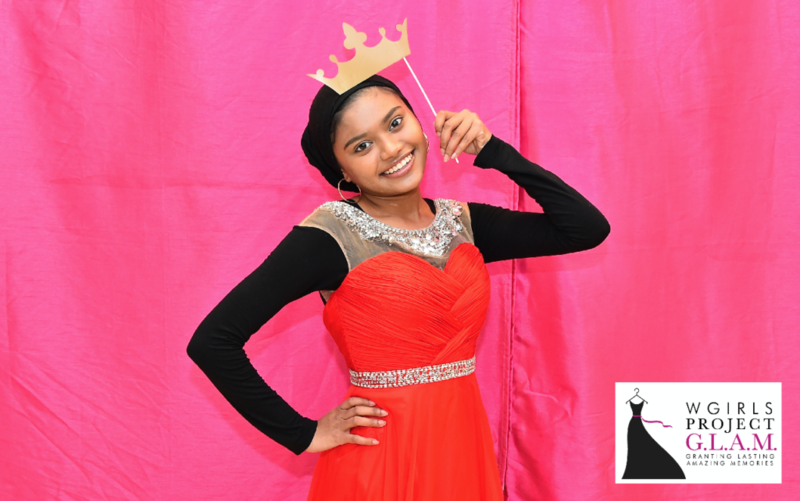 Thank you for choosing WGIRLS Project G.L.A.M to donate your new and gently worn formal wear! We only accept donations via mail at the address below. Please note the following before sending a donation. Before you donate your dress for prom, please ensure that it meets the following criteria. Thank you! Prom appropriate. Please do not mail dresses that are not prom dresses. (i.e. Knit Dresses, Casual Day Dresses, etc. We can not use them. The WGIRLS INC does provide a tax receipt for dress donations, however, the receipts are not itemized or place a value on your donation. The tax receipt simply acknowledges your donation and leaves it up to you and your tax adviser to determine its value. If you would like a tax receipt, please include a note with your email address in the package. Receipts are ONLY provided via email. 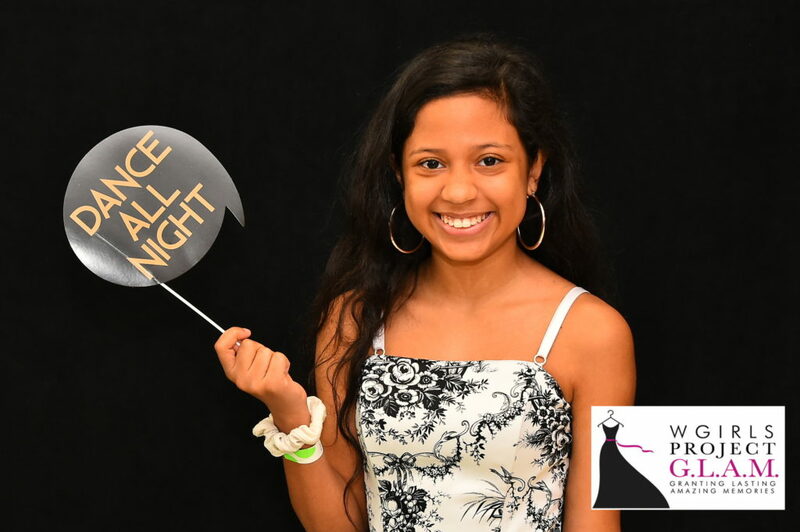 Corporate Donations: If you are a company interested in making a donation of NEW gowns, accessories or products please contact us directly at projectglam@wgirls.org. A representative will contact you to help to coordinate the logistics. WGIRLS Inc. provides tax receipt information for all corporate donations.